Tomoko Sauvage is sipping matcha latte in a Shibuya cafe, trying to articulate the search for sound that first drew her abroad and, ultimately, led her to create a new musical instrument. For the Paris-based musician who grew up in Yokohama, the call to music came early. She began classical piano lessons from age 4, which she enjoyed, though any thought of a professional career was discouraged by her parents (“It’s not the normal path,”) or teachers who cited insufficient talent. “Maybe that’s why I had to go (abroad), to be free from this,” Sauvage says. Sauvage attended Gaigo-Kanagawa Prefectural High School for Foreign Studies, a now-defunct high school that specialized in foreign languages, where she studied English for 10 hours a week and French for four. The public school had optional uniforms and “it was very free,” she remembers, “which is very rare.” In many ways, a search for freedom has been the driving force in her life. Sauvage came from a conservative family. Her father traveled the world as a businessman, which she thinks may have helped to kindle her interest in foreign countries. Her mother graduated from Keio University and occasionally taught calligraphy. Growing up, Sauvage was often advised to err on the side of conformity: “They wanted me to marry a rich businessman, and be stable and normal.” She has a younger sister, who also chose to break the mold of the traditional female role and became a hardworking, successful freelance designer. Through piano, a budding sensitivity to sonic nuance alerted Sauvage to something she was only able to fully articulate much later — that the piano doesn’t sound quite right in a Japanese home. “A piano is made of wood, which absorbs water in humid climates such as Japan, so it sounds totally different from country to country,” she says. Later, when she had the chance to play the instrument amid European architecture, including stonework, in France, “it sounded totally different. It sounded right. There’s something in the air, and the piano also sounds different.” When Japanese musicians bring shamisen (a traditional string instrument) to Europe, she explains, they wrap them with lettuce to keep the moisture in. “It’s supposed to be played in a Japanese room with wood and paper, where it sounds good and right,” she says. It is a telling observation. At age 15, Sauvage fell in love with jazz, and while pursuing a liberal arts degree at International Christian University in Tokyo, she was dreaming of taking off to New York to pursue music, though she was persuaded by her parents to graduate first. In New York she studied piano at The New School for Jazz and Contemporary Music, where she met many serious talents and came to understand that, even with years of practice, the highest levels of jazz piano would be out of reach. What began as a pursuit of freedom through jazz now became more clearly defined: Sauvage was searching for a sound all her own. But she returned to Tokyo. “I wanted to see how it was to live in Japan, so that I wouldn’t regret anything in the future. I knew that it was not my place, but I wanted to try,” she says. She took a variety of piano gigs in the lounges of various high-class hotels, recorded and toured with a reggae rock band. 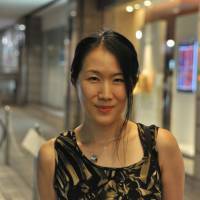 She also leveraged her English ability at various office jobs, developed a hatred for Tokyo’s rush-hour trains and, feeling generally depressed, decided on a move to Paris to join her boyfriend at the time. She took a cue from the change in tone and began a period of introspection and musical experimentation. She lived with her then-partner and the government covered half their rent. “All I had to say was that we lived together, and the next day I had free health insurance,” she says. In 2006, she attended a performance in Paris at which the south Indian musician Anayampatti Ganesan played the jalatharangam, a series of bowls filled with water. She was “fascinated, blown away” by the sound and went home to begin experimenting with water. After hearing the jalatharangam, she recognized the Okinawa moment as true inspiration. “I think it’s one of the best sensations that we can have, and I wanted to make music like this,” she says. 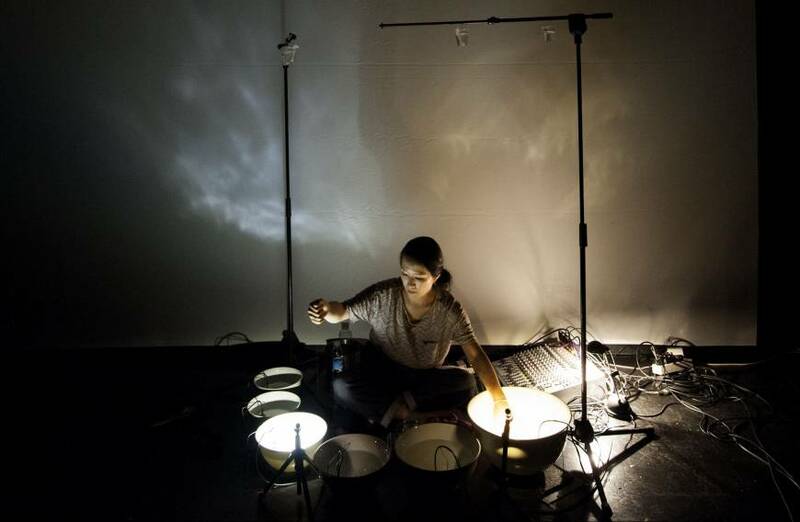 Soon after, she bought a hydrophone (underwater microphone), inserted it into a porcelain bowl of water, and her instrument, which she calls waterbowls, was born. In 2010, she developed a way to manipulate feedback from the sensitive mics. She notes that no two waterbowl performances are alike. “I learned that this is not an instrument you can control,” she says. “There are so many uncontrollable elements depending on many factors such as room acoustics, human presence, humidity, the change in pitch that occurs due to evaporation.” Some people liken waterbowls to a Japanese suikinkutsu: buried earthen bowls outside temples that catch the water people wash their hands with to great acoustic effect. “To me it’s obviously alchemical, because water becomes music,” she says of her medium. Since inventing it she has performed dozens of live shows, not just in Europe but worldwide, and often in collaboration with other artists. 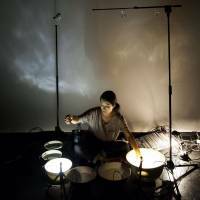 Her second album, “Musique Hydromantique,” to be released Oct. 26, chronicles her exploration of waterbowls over 10 years. Sauvage continues to live in Paris, but considers herself a product of multiculturalism and very much a citizen of the world. 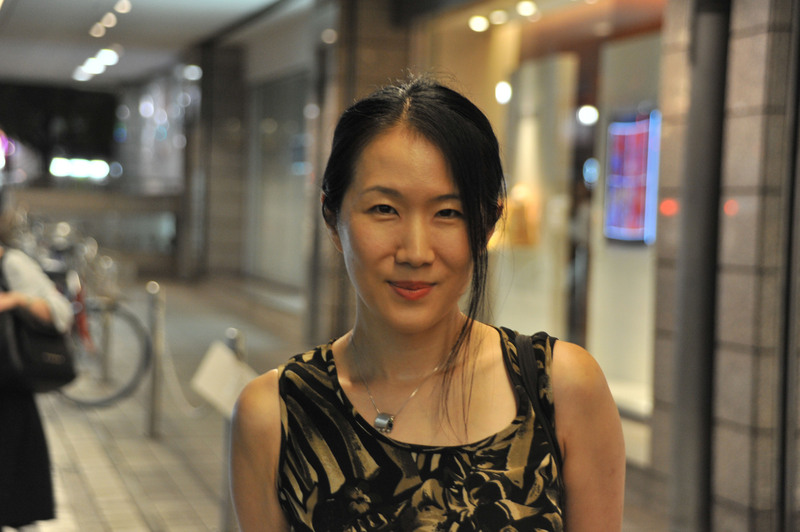 “I’m not just a Japanese living in Paris. I’m very connected to a community of artists which is very international — it’s a special milieu,” she says.